3D printing using the standard ABS and PLA is nifty and useful in its own right. Pure plastic filaments are versatile and very easy to work with. However, the plastic finish of ABS and PLA prints can seem a bit underwhelming after a while. If you’re looking to create a print with a much more refined and professional finish, then you may want to take stainless steel filaments for a spin. In this article, we discuss everything you need to know about stainless steel filaments, how they are used, and what brands to buy. 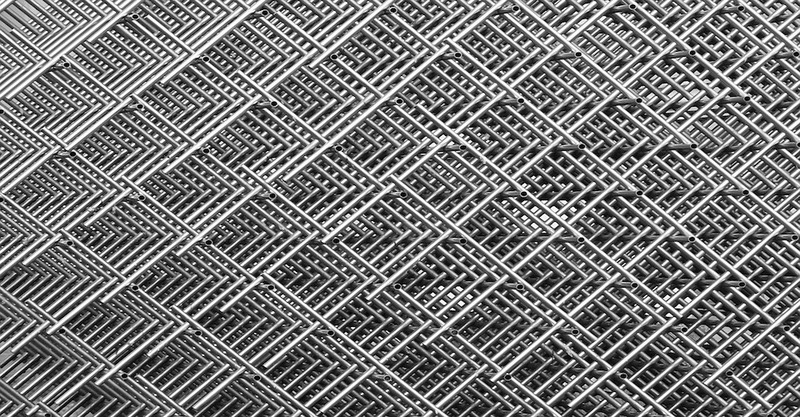 What are stainless steel filaments? Similar to metallic, magnetic, and carbon fiber filaments, stainless steel filaments are composed of very fine stainless steel powder contained in a PLA matrix. The ratio of stainless steel powder to plastic vary by brand but are usually close to 80% metal to 20% plastic. This ratio allows the composite material to be printed in a standard 3D printer while retaining some of the characteristics of stainless steel, such as its luster and rigidity. Stainless steel, so called because of its resistance to corrosion, is a steel alloy with a minimum 10% chromium content by mass. Chromium reacts with oxygen in the atmosphere to form a thin, stable film on the surface of the stainless steel, limiting further exposure to oxygen and preventing corrosion. There are several types of stainless steel available in the market, with each one having a different crystalline structure. The most commonly used stainless steel types, those under the 300 series, are classified as austenitic stainless steel and are essentially non-magnetic. What are the benefits of using stainless steel filaments? The best and most prominent advantage of using a stainless steel filament is the excellent aesthetics of the finished product. With a stainless steel filament, you can achieve (or approximate, at least) the metallic lustre of a stainless steel product without the complexity of working with actual stainless steel. Prints made from stainless steel filaments are naturally heavier than your standard plastic prints, providing a nice heft to your printed objects. Unlike pure plastic prints, those made from stainless steel filaments are a lot more rigid, with little to no flexibility. 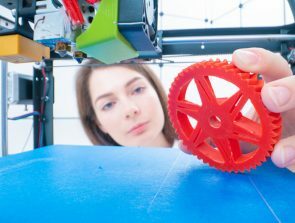 This is a property that is quite unique to composite 3D printing materials, resulting in prints that are uniquely solid. Prints made from stainless steel filaments are somewhat durable, although not nearly as durable as actual stainless steel. Making custom objects using actual stainless steel will most likely involve working with high temperatures or machining – techniques that are probably beyond the capabilities of most people. A stainless steel filament allows us to get similar products using basic 3D printing techniques. 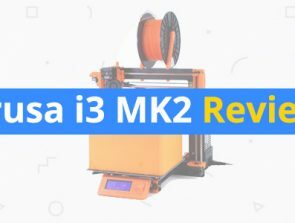 You will not even need to print using very high temperatures, so your standard desktop 3D printer should be perfectly fine. Moreover, composite materials like stainless steel filaments are less prone to shrinkage and warping. How do you use stainless steel filaments? 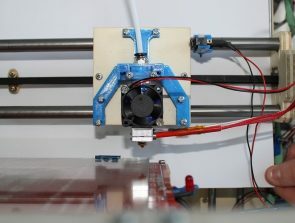 Stainless steel filaments are merely PLA filaments fused with stainless steel powder, so the standard printing temperature for PLA should be a fine starting point when printing with them. The presence of finely powdered stainless steel does provide an increase in the overall thermal conductivity of the material, so some adjustments will have to be made. It is best to follow the printing temperature recommended by the manufacturer, but a range of 195 to 220 °C is generally recommended. The slightly higher thermal conductivity of stainless steel filaments also allows it to be extruded at a higher rate than PLA, since it heats up faster as it comes into contact with the hot end. The actual value of this thermal conductivity may vary based on the ratio of steel to plastic in the filament, so it is still best to ask the manufacturer. We have been able to get good results using a speed setting of 80 mm/s, but we suggest starting at a lower setting (around 50 mm/s) and working your way up. Stainless steel filaments are not very prone to warping or shrinkage, so a heated bed will not be necessary. Should you be using a heated bed, a setting of around 50 °C should work well enough. Any method of bed adhesion that works well with PLA should also perform wonderfully with a PLA-based stainless steel filament. We recommend using standard blue painters’ tape if you are using a non-heated bed, or a thin application of glue stick if you have a heated surface. The disinclination of stainless steel filament prints to warp or shrink also means that you can cool them down rapidly without concern. This means that you can use your cooling fan at maximum setting with no problems. There will be no need for any enclosure surrounding your printing bed during the printing process. If you have ever tried printing with stainless steel filaments, you would have found that the unpolished prints look nothing like stainless steel. You would likely end with a fuzzy finish, similar to cast metal. There are several ways to polish your stainless steel print to get that clean and metallic finish. Most of experienced users recommend using a polishing wheel to remove unwanted layer lines, and a polishing agent to bring out the metallic lustre in your print. Some users have reported success in eliminating layer lines using common wire brushes or coarse sandpaper. Are there limitations to using stainless steel filaments? Although we have stressed the ease of working with stainless steel filaments compared to actual stainless steel, printing with them is not exactly as simple as printing with standard plastic filaments. For one, stainless steel filaments can be very abrasive due to the presence of the fused stainless steel powder. A standard brass extruder will be quickly worn out when used with a stainless steel filament. We recommend using a hardened nozzle, such as those made from real stainless steel. 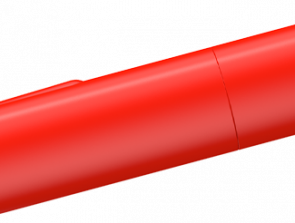 Abrasion can also be reduced by using a higher sized nozzle. Nozzle sizes of 0.5mm to 0.6mm performed very well based on our experience. Keep in mind that a worn down nozzle will result in a poor quality print, so always check your nozzles. Stainless steel filaments are much denser and heavier than plastic filaments, which presents problems when printing designs with lots of overhang. Similar to other composite materials, stainless steel filaments have very poor bridging characteristics. Using a cooling fan to rapidly cool the print as it forms somewhat solves this problem by strengthening the material in a short time. If you are still having problems with bridges and overhangs, we recommend incorporating additional support structures into your design. Water soluble PVA is a very good option for a support material that can be used in tandem with stainless steel filament. You will also want to minimize retractions when printing with stainless steel filament, as with other fused filament products. Keeping the filament in the melt chamber during retraction may result in blobs in some sections of the print where the extruding process stops and starts. We recommend coming up with a design that requires minimal retractions. Some printing software also have built-in functions that minimize retractions during printing. Although PLA provides some flexibility to the stainless steel filament, it is still quite brittle and will likely snap if it goes through sharp turns on the path from the spool to the extruder. We recommend adjusting the filament path to ensure that the filament travels to the extruder as smoothly as possible. The thing about stainless steel fused with PLA is that it mimics the look and characteristics of stainless steel, but comes nowhere close to its durability. The resulting print from a stainless steel filament is very rigid, but its durability is probably somewhere in the neighborhood of standard PLA. Do not expect your stainless steel filament prints to be able to endure hard or sustained impacts. Stainless steel-fused PLA also cannot be used for high temperature applications, as PLA starts to get soft at the glass transition temperature of about 70 °C. Lastly, stainless steel filaments are a little more expensive compared to the standard plastic 3D printing filaments. Combined with the fact that you will likely need to experiment and tweak with your printer settings before getting a good print, this means that playing around with stainless steel filament can be quite a costly affair. They are not overly expensive, but you will want to minimize waste when printing with them. What are the best brands of stainless steel filaments? If we are talking about stainless steel filament products, then there is only one that leads the pack. 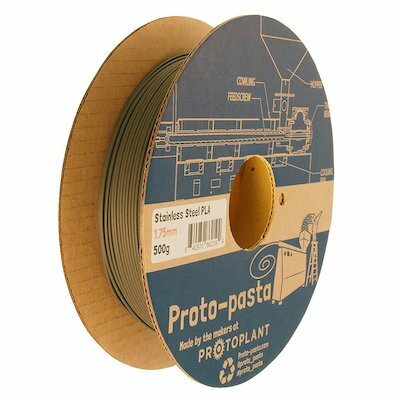 The Polishable Stainless Steel filament from Proto-pasta has been widely used and tested, and has been proven to be easy to use and results in prints that can be polished and finished well. The filaments are available in both 1.75mm and 2.85mm diameter. They are sold in 500g spools, but you can also buy them in loose coils of only 125g. The small coils are perfect if you are still in the experimentation phase, as you will not need to spend too much. Stainless steel filaments are another of those ‘exotic’ filaments that you probably will not need to use but would be very nice to have. Playing around with them is a real treat, especially when you come to the part of polishing and finishing. Many users have experimented with finishing techniques that give stainless steel prints that characteristic metallic lustre, or even a more weathered and rusty look. If you’re tired of 3D printing using plastics and you’re looking for a new experience, then printing using stainless steel filaments will certainly be a fun project for you.